The aristocratic Spinola family traces its roots in the Gavi district back to the XI century and its name has been taken around the world by gallant condottieri, explorers, men of the cloth, governors and even muses of Renaissance painters. 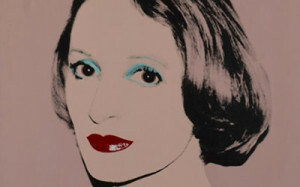 Today it includes entrepreneurs, artists and intellectuals. Over the centuries, many portraits have been painted of family members by celebrated artists, from commander Ambrogio Spinola in Velazquez’ celebrated “The Surrender of Breda” to the Marchesa Orsola Spinola painted by Andy Warhol. Castles, churches and art works of the highest quality bear witness to the presence of the Spinola family – who originally came from Genoa – through one thousand years of Italian history. The international vocation that has put the wines of the Marchese Luca Spinola company on tables all over the world is part of the family DNA: the records show that a Spinola took part in Christopher Columbus’ expedition to America, while the blessed Father Carlo Spinola travelled to Japan in 1596 as a missionary, staying there for around twenty years, one of the first Europeans to live in the Land of the Rising Sun. Visitors to the Chinese city of Macao can still see the remains of St Paul’s Church, designed by the blessed father. The family has an ancient bond with the Gavi area where the Spinolas have lived for centuries, for example Tassarolo Castle, which overlooks the company vineyards, and in the XV century housed a mint that turned out silver “tolars” with an effigy of Count Agostino Spinola. Today, the family’s special ties with the area are reflected in a profound knowledge of the wine-making tradition and respect for the earth and nature. 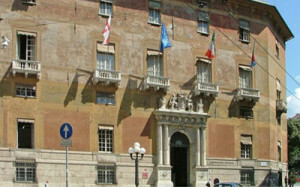 The family origins and history are closely linked to the city of Genoa. In the XI century, Genoa was a powerful and wealthy Maritime Republic, rivalling Pisa and Venice. In 1270, the noblemen Oberto Doria and Oberto Spinola, members of two of the most important Ghibelline families, were appointed Capitani del Popolo [captains of the people], effectively becoming governors of the city. During the XII and XIII centuries, Genoa was a leading trading and maritime power, whose flourishing commerce benefited the entire population. The Republic extended its influence across the region of Liguria, most of Corsica and northern Sardinia, and, through its involvement in the Crusades, established trading posts around the Mediterranean. Its political structure changed in the XIV century with the election, in 1339, of the first Doge to rule the city, with the support of a number of noble families. Between 1528 and 1797 many members of the Spinola family ruled as Doges, including an Andrea Spinola, and became cardinals of the Holy Roman Empire. In 1528 Agostino Spinola, Count of Tassarolo, occupied the Ligurian city of Savona on behalf of the admiral Andrea Doria, a leading political figure. Later, the Hapsburg Holy Roman Emperor Charles V appointed him to the post of Capitano Generale in recognition of his loyalty to Spain. In this period, the Spinola family was issuing coins at the Tassarolo Mint, including silver tolars with the effigy of Count Agostino Spinola dated 1604, which are still part of the Carige Foundation collections. In 1596 Father Carlo Spinola travelled to Japan to work as a missionary, living in the country for around twenty years, one of the first Europeans to take up residence there. Genoa became an ally of Spain, which enabled it to extend its trading operations to the Spanish colonies in the New World, while the Genoese became the bankers to the Spanish monarchy. In 1625, Ambrogio Spinola, in the service of the Spanish Crown, reached the height of his military career with the surrender of the city of Breda. 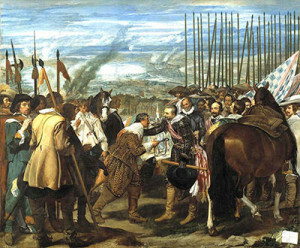 The event was immortalised in a famous painting by Velazquez, now at the Prado Museum in Madrid. Between the XVI and XVII centuries, many important artists came to Genoa, including Rubens, who painted a celebrated portrait of Brigida Spinola now in the National Gallery in Washington, and another of Veronica Spinola, now displayed in the Kunsthalle di Karlsruhe. The Count of Tassarolo was painted by Van Dyck. Meanwhile Genoese Baroque was making its name as exemplified in the famous St Luke’s church, founded in 1188 by Oberto Spinola, which is still the place of worship of the Spinola family today. In 1797, French military pressure led to the creation of the Ligurian Republic. In 1805, the Ligurian Republic was annexed by the French Empire. After the 1815 Congress of Vienna, it passed to the House of Savoy and in 1861 became part of the Kingdom of Italy. In 1806, Massimiliano Spinola published the first of his important entomology treatises.